Review: Did The First Christians Worship Jesus? Did The First Christians Worship Jesus? is a continuation of an ongoing academic discussion on the nature of early Christian worship, rx between Larry Hurtado, physician Richard Bauckham and James Dunn. In this work, written at a level suitable for the general readership, Dunn notes that he does agree in principle with the writings of Hurtado and Bauckham, but that in this volume he wants to wrestle with those passages that seem to contradict the idea that the early Christians worshipped Jesus. If in fact the early Christians were hesitant to worship Jesus, Dunn believes that it is important to stop and ask why this is. Dunn argues that the original question, “Did the first Christians worship Jesus?” is too narrow, and when taken at face value it should be answered in the negative. 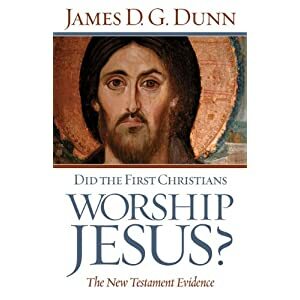 Better questions to ask, Dunn suggests, are “was the earliest Christian worship possible without and apart from Jesus?” and, “did the first Christians include Jesus within this restricted worship, or did they somehow loosen the restrictions?” Dunn is attempting to guard against the possibility of Christomonism, or in his words “Jesus-olatry”, wherein the worship of Jesus replaces the worship of God. 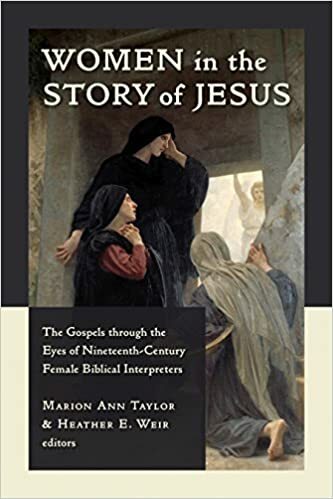 This book, while written at an easily-accessible level and marketed to the general Christian public, makes the reader feel like they have walked into the middle of a conversation without any prior context of the conversation. As well, because Dunn states that he is in agreement with Hurtado and Bauckham, the subtle arguments that he is making in relation to their broader conversation will probably be lost on those who have not fully followed the conversation. As such, Larry Hurtado’s review helps to guide readers in understanding the broader conversation, as well as pointing out the strengths and weaknesses of Dunn’s argument. From a theological perspective, Dunn’s book is useful because he affirms and wants to ensure that all discussion of Christian worship is Trinitarian in nature. At the same time, the question needs to be asked if Dunn’s fear of “Jesus-olatry” is overblown. An examination of the Patristic development of Christology, even though it is extends beyond the first century data that Dunn is analyzing, would be useful to explore, particularly some of the early writings of Justin Martyr and Tertullian, to see if the worship of Jesus actually displaces the worship of God the Father. (Though space does not permit, I would argue that the development of the doctrine of the Trinity prevents this from occurring). That being said, Dunn’s worry about “Jesus-olatry” does not warrant criticisms that Dunn is undermining the foundations of Christian orthodoxy with his scholarly examination of the biblical texts. James Dunn, Did the First Christians Worship Jesus: The New Testament Evidence (Louisville: Westminster John Knox Press, 2010). Larry Hurtado, review of Did the First Christians Worship, by James Dunn, Journal of Theological Studies 61 (2010): 736-40. See for example, Paul Owen, review of Did the First Christians Worship Jesus? The New Testament Evidence, by James Dunn, Journal of the Evangelical Theological Society 54 (2011): 645-47.
viagra 204, no rx 203,200_PIsitb-sticker-arrow-click,TopRight,35,-76_AA300_SH20_OU01_.jpg” width=”300″ height=”300″ />Paul: In Fresh Perspective by N.T. Wright is based on a series of lectures delivered between 2004 and 2005. His aim, through these lectures, is “to let in some new shafts of light on Paul” (p. ix). He does this by dividing his lectures into two sections: themes found in Paul’s writing, and structures of Paul’s theology. While this book, in part, builds on his previous work on Paul, (notably, What St. Paul Really Said, Climax of the Covenant, and his commentary on Romans), it also points to Wright’s next project, namely the fourth volume in his series, Christian Origins and the Question of God. In chapter one, Wright introduces the world, or more specifically the worlds, of Paul: Judaism, Hellinism, Rome, and the ekklesia. Wright argues that the narratives of these different worldviews all influenced Paul’s theology and thought, and that the focus in Pauline studies on narrative structures “is one of the most significant developments which the ‘new perspective’ revolution has precipitated” (p.8). Wright briefly outlines the shift from the “old perspective” to the “new perspective” and argues that many of the ideas in modern Pauline scholarship were/are born out of specific cultural and interpretative contexts that are now being evaluated and brought to light. (For example, he talks about how Ephesians and Colossians being seen as pseudo-Pauline arose out of a very specific context: German existentialism). In chapter two, Wright explores the interconnectedness of the themes of creation and covenant. Building off of Psalms 19 and 74, Wright presents three Pauline texts (Colossians 1:15-20; 1 Cor 15; Romans 1-11) that display the same pattern of fusing creation and covenant together, even when the terms “creation” and “covenant” aren’t specifically referenced in the text. Wright’s thesis is that the Old Testament, and thus Paul in retelling the narrative in light of the work of Christ, portrays God as the creator God who is the covenanting God, and vice versa (p.24). In chapter three, Wright focuses on the themes of Messiah and the Apocalyptic. He argues that this pairing of themes demonstrates that for Paul, the “apocalypse of the Messiah as Israel’s king and therefore the world’s true Lord challenges…the grand claims of the pagan empire” (p.40). Wright rightly challenges the modern misunderstandings of “Christ” that downplay the Jewishness of Jesus’ title. Wright then looks at the themes of Gospel and Empire in chapter four. Wright argues that not only was Paul discussing the Gospel as fulfillment of Israel’s narrative, but he was also subverting (implicitly and explicitly) the ideology of the Roman Empire (pg. 59). Wright then shifts from themes in Paul’s writings to the structure or shape of Paul’s theology. Wright critiques previous attempts to structure Paul’s theology, because they ended up emphasizing certain doctrines at the expense (or outright dismissal) of other doctrines. Wright suggests the adoption of a three-fold Jewish framework that would categorize Paul’s theology under “one God,” “one people of God,” and “one future for God’s world”, and then tweaking it to focus on the Messiah and the Holy Spirit (p.84). Chapters five, six and seven look at each of the three aspects in turn, and these chapters form the beginning sketches of Paul’s exploration of the Christological and pneumatological foci of each category. In his concluding chapter, Wright looks at some of the corollary questions that arise from his proposed restructuring of Paul’s theology. First, Wright examines the supposed dichotomy or polarization between Jesus’ message and Paul’s message. Wright argues that both Jesus and Paul saw the world through the same set of themes (as explored in chapters two through four), but their functions were different. Paul was not attempting to modify or better Jesus’ theology, instead Paul saw his role as being the conductor who simply conducts the music written by the composer, that is, Jesus (p.155). But, if this is the case, Wright asks, what should be done about the apparent discrepancies between Jesus and Paul, in areas like teachings on the Kingdom of God, justification by faith, and Christian ethics? Wright, briefly explores each of the issues and concludes that the solution lies in understanding that Jesus and Paul had two different vocations that served the same over-arching vision (p.161). While this book has a very conversational tone, and is aimed at more of a general rather than an academic audience, Wright would have been better to have offered more endnotes with references and clarifications to help the reader along. As well, the endnotes that merely reference Scripture should have been changed to parenthetical references to make it easier for the reader who has to continuously flip from the chapter to the endnotes at the back of the book. In terms of Wright’s overall presentation of his perspective on Paul, a reader who is familiar with Wright’s more academic works would understand the summaries and overviews that he gives, but for the reader who is unfamiliar with Wright, the summary nature of Wright’s arguments may actually be overwhelming and disorienting. As someone who has read Wright, I found his chapter on messiahship to be a good review of his fuller discussions of messiahship as found in Jesus and the Victory of God. On the other hand, his chapter on Paul and Empire was actually confusing instead of clarifying, and as such readers would be better off reading his essay “Paul’s Gospel and Caesar’s Empire.” That being said, this book serves as a way for evangelicals to re-read Paul with new insights, and to understand the narratives that Paul is using and retelling in his presentation of the Gospel. Given the introductory nature of these “shafts of light,” and given that the book is written to a general, rather than academic audience, I would suggest that judgment and evaluation of Wright’s re-thinking of Paul be held in reserve until the more complete volume is released. The danger in critiquing Wright at this stage is that, because Wright does not set out to “prove” his re-thinking but rather to gather people together to begin to re-think with him, the reader is in danger of attributing issues or implications to Wright that may or not actually be indicative of Wright’s thought. As a theologian, I find Wright’s suggested structure for exploring Paul’s theology to be both intriguing and useful, especially in a post-modern context that has moved, and is moving, away from the modernistic structures of systematic (particularly Reformed) theologies. I would suggest that Wright’s proposal could be the beginning of a bridge between biblical studies and theology, and specifically between the fields of biblical theology and systematic theology, especially if there was a way to subsume the systematic categories under the broader structure that Wright proposes. Kevin Vanhoozer, viagra “Exegesis I know, sick and Theology I know, but who are you?”: Biblical Hermeneutics and the Theological Interpretation of Scripture. Taylor Worley, “The Splendor of Holiness”: The Church as the Theatre of Divine Beauty. Jason Scully, The Loving Soul: Basil the Great’s Biblical Conception of the Ascetical Life. Susan Rieske, Yahweh the Sadist? An Examination of God’s “Delight” in Destroying Israel in Deuteronomy 28:63. James Gordon, Is it Possible and Desirable for Theologians to Speculate After Barth? Micah Meek, The Role of the Anglican Puritan Pastor in the Moral Formation of the Church. Stephen Presley, Intertextuality as Catechesis in the Early Church. John Auxier, Technology and Sanctification. William Webb, Corporate Solidarity: An (In)justic in Holy War. Ashish Naidu, The Transformation of Fallen Creation: Cyril of Alexandria and John Chrysostom on the Sacramental Implications of Christ’s Baptism. Francis Beckwith, The Case of After-Birth Abortion in the Journal of Medical Ethics: A Critique. Brian Goard, Critical Realism in the Thought of Alister McGrath. Michael Allen, Introducing Karl Barth to Evangelicals: Challenges and Approaches. Marc Cortez, Introducing Karl Barth to Evangelicals: Universalism as a Test Case. Matt Jenson, Introducing Karl Barth to Evangelicals: Ecclesiology as a Test Case. Keith Johnson, Introducing Karl Barth to Evangelicals: Nature and Grace as a Test Case. David Cramer, Does (Church) Practice Make Perfect (Christians)? MacIntyre, Yoder, and the Moral Significance of the Sacraments. Jordan Hillebert, The Mystery of Faith and the Mystical Theology of Henri de Lubac. Randal Rauser, Is Penal Substitution too Provincial? Timothy Erdel, The Great War, the “Good War,” and Their Challenges to Christian Pacifism. Again, if you’re going to be at ETS I’d love to meet you. If you’re not going, feel free to check my blog daily for updates, and my twitter feed (@CWTheology).